No I ant going to paint it yellow ant my most favorite color lol I bout it cheap and decided to give it a restoration and was going to sell it when done I am going paint a ford color called "Got To Have It Green" that is what color is on the 2013 and newer boss 302 its basically my favorite color. The ford f150 is something that I might do not sure yet I got to road test it and make sure the whole drive train is good. The only problem that I have with the ford f150 is that is does not have solid axles just the rear is solid not the front. Yes I know what you mean. There is a national forest where I live and I was going to just build a truck to do some light off roading. I live in WI so there is not the rocks and cool off road trails like there is in some other states. I thought about just using the truck till I found a dissent solid front and rear axle vehicle. 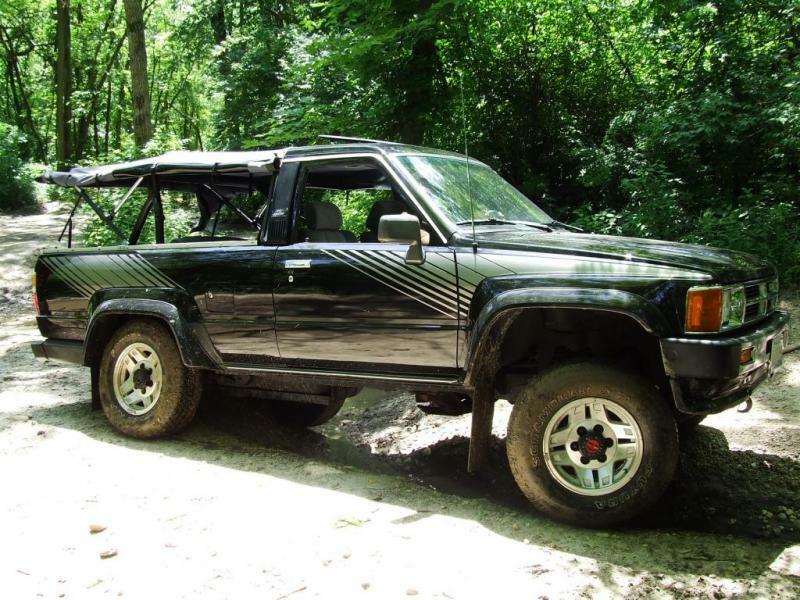 Some of the Cherokees can be really rusty and the old Toyotas. If any one wants to sell something that should never been to a 4WD jeep wrangler do a google search for 'Lowrider Jeep Wrangler' some really cool and od jeeps. For the same price as a truck you could get a XJ or something though. I don't get it. If you want a good trail rig, then why are you looking for a truck only to start looking for something else as soon as you get the truck? well I already got the truck I just don't have the couple grand to start on something. One other issue is that there is not the rock trails in wi to do some major rock crawling. I was going to use the truck as like a beginner because if have never really gone off road so that I can get a idea of what is like to go off off roading now on a 4 wheeler I do that a lot but I know that is complete different than the 1.1 trucks. My new Old Man Emu suspension should arrive today. 2" HD stuff for my IFS 88 4Runner. Should be a big step up from my nearly 30 year old bouncy stock set-up. I was a bit worried about going with the HD but figured I want to get a plate/tube bumper and winch along with bigger tires... so fully loaded, I should be good to go. 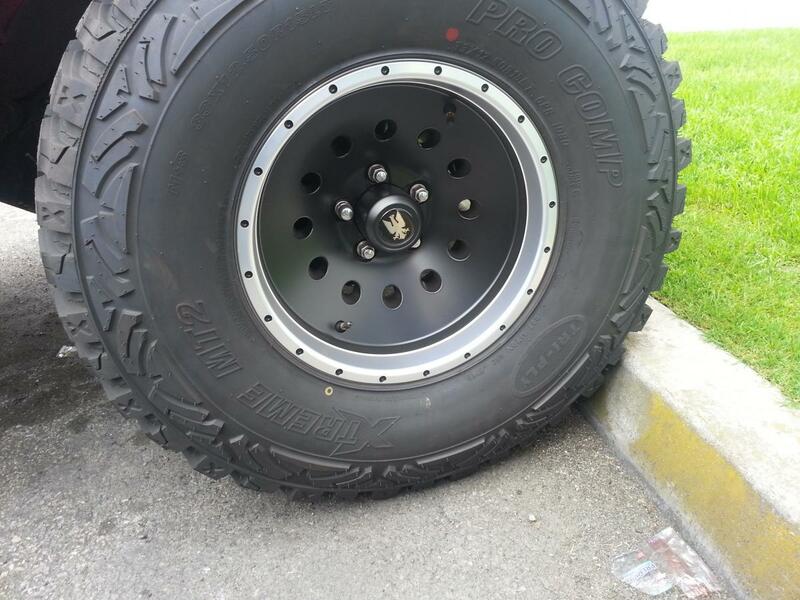 Considering the Interco Briddog wheels. here's a Photoshop hack: the wheel, photoshop and then stock. Will look cool when your done with the lift and the tires. On my 1995 wrangler I was going to put a 6 inch lift that a guy had but he does not have it any more so my question is how much of a total lift will you get with a rough country 4.5 and 35s? That is with tires and lift if any body has done it. Don't buy rough country. They make a terrible product. I don't know why people rave over them so much but there's nothing much there to rave on. For a YJ, go with something like Rubicon Express. Something that's actually quality. You could do a SOA but you would have axle wrap. Lre why do you say that rough country is a bad lift I have read a lot of good things about them? my dad was going to let me take 2002 f150 and make that into a light off road truck. Really don't want to scratch the 1995 jeep wrangler when the restoration is done. Wait, Why are you restoring a 95 YJ........Restoring it to what? Spend your time and money on a good set of 31 inch tires, fix anything on the jeep that needs to be repaired to make it run, drive, and handle well. Then go drive it, you will have a good 4x4 to get you around on and off the trails. Use the F150 to tow the jeep to explore trails further away from home. The only other thing I would do with an F150 is make a long travel prerunner out of it "IF" I had someplace to use it. A full size truck of any type would be my last choice for a trail rig. I would take the wrangler crawling but I am doing a lot to it like 2 new fenders, 2 new floor pans, 2 new rockers, cross member, power steering frame fix, seatbelt and part of the roll cage mount is rotted, and the rear frame is bad one side and the other side is a little rotten the body mounts in the back are not that good ether will also be doing a paint good. After doing all that work when it is down I really hate to dent it or scratch it. I plan on selling it when it is done and try to get something better. The f150 is still in the air yet there is the rust factor and the mis in the engine. If I end up building it will not be anything to crawly like just for some very light off roading. well I thought about it and decided not to do the f150 because its not a strait axle front and rear like my scx10. So what I will en up doing is when the wrangler is sold I will try to buy a cheap 4.0 Cherokee to crawl with and beat on. johnnyh66 when will you have pics of it can't wait to see it? The bushings and metal they use to make it are super cheap. I frequent a local off-road shop and they won't even touch anything that has rough country on it. May seem like a odd question but how old are you? If you're still in school you need to put your focus on getting school over with and not on restoring or building a trail rig. I wish I had focused more on school instead of building my Jeep. Just a word of advice. To be really honest I have more fun building vehicle and fixing vehicles than I do school any day. I am 16. Last night I had an idea for a trail rig a Ranchero with a jeep drive train just a thought so far. Planning a SOA on my cj7. Anyone recommend a decent CV driveshaft? couldn't find an axle when I was looking and finally decided fawk it, staying IFS.